First, please know that Return Magic does not bill you for or add any fees to your return labels. Our charges are associated to the use of the customer portal & dashboard to process returns and gather data on your returns, so if you do not want to offer return labels to your customers, you do not have to. 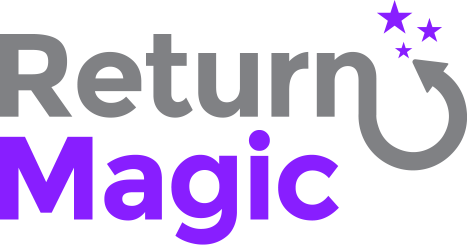 If you have questions on our pricing, you can take a look at our website, or reach out to us at support@returnmagic.com! With ShipStation, you are billed for the labels when they are created (because you are always generating return shipping labels). This is when your customers place a return request and their return is approved. As soon as that label is created, ShipStation will bill you for the label. This is why you always need to make sure you have a sufficient balance in your ShipStation account to be able to purchase labels as your customers request returns. You are able to automatically add funds to your account when a certain low threshold is reached. What happens if your customers never use the label you were already billed for? You can delete return requests within 30 days to automatically request a refund for those labels. Also note that you can always be billed only once for a label: if your customers reprint the same label they first generated from the portal or their confirmation email, you are not billed again incrementally.